You may be using more or you may be adhering to a routine with less. Believe it or not, there are just five products you absolutely need to take great care of your young, 20s skin. For you to appreciate why you only need to use five products, you must have a good grasp of what goes on within your 20-something skin. Skin is naturally made of three layers — the epidermis or the outer layer, the dermis or the middle layer, and the hypodermis which contains the nerves that nourish skin and which attaches your skin to your muscles. Young skin, that is, under 30, normally will have the capacity to produce collagen in large volumes with unbelievable consistency. That continuously short process of skin turnover is what keeps your skin youthful looking and full of vitality even when you’ve been spending sleepless nights out to party. At some point before you turn 30, antioxidants drastically drop, which is why you often see the first signs of skin aging when you’ve crossed over to 30. Then, cell energy begins to slowdown, naturally causing skin repair and regeneration to happen less often. 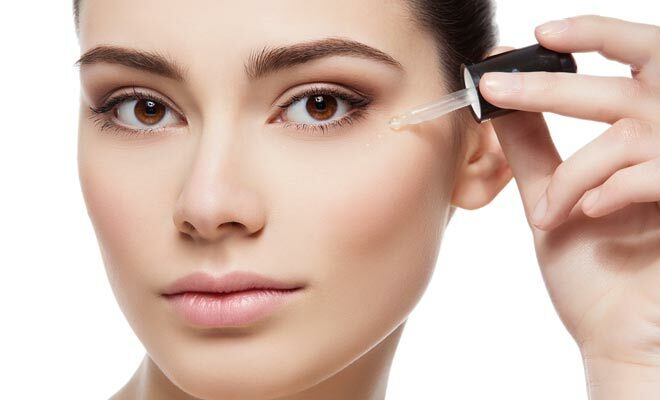 By the time you turn 40, there would have been a significant decline in cell energy then the skin thins out and, because skin is less capable of resisting damage, you see more signs of aging build up sooner than you used to. Start your daytime and nighttime routine by clearing your skin of impurities. So what if you just got up from bed? Your face against your pillow case and your sheets have certainly gathered micro fauna and flora that can infect your skin. Excess oils must also be removed from your skin. Skin at every age needs to be exfoliated. It is the basic must-do to stimulate skin cell repair and turnover. However, do not exfoliate more than twice weekly or, you will be doing your skin more harm than good. Remember how antioxidantssteeply decline in your late 20s? So, boost your antioxidants with a serum. Antioxidants help you prevent the damage. When it comes to skincare, prevention is still a key strategy. Dryness causes skin to wrinkle. Do not leave your skin at the mercy of natural elements without moisture. At your age, a basic moisturizer with antioxidants and emollients in it is good enough. Again, emphasize prevention. Don’t brave the sun without it or, sooner than later you’ll be sorry. Cover up as much as you can with sunglasses, broad brimmed hats, dark car tints, and staying in the shade when you don’t need to bask in the sun. After a long day, give yourself sufficient sleep. Let your body’s natural cell rejuvenating processes work on overdrive as you refresh for another challenging day ahead.